Microgaming are probably the top developer of 3 reel pokies for the online casino market and Thousand Islands is a classic example of their range. Themed around the sailing ships that explored the world hundreds of years ago, it’s a fairly straightforward game that has just a single payline, simple bet range and many of the symbols that are featured across numerous other pokies. If that sounds like a criticism it’s not meant to be, as Microgamiing have won a huge number of fans over to these games and Thousand Islands is sure to be a popular addition to the collection, just don’t expect loads of bonus features or extra rounds, as apart from a wild multiplier symbol, there’s nothing here other than spinning the reels and seeing what happens. 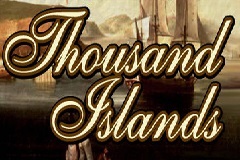 A high quality background image of a port and sailing ships that looks like a painting from the era sits behind the reels, with the game title below them. It’s all presented in various shades of brown and beige that even extends to the symbols, which sounds a bit dull, but it’s actually quite effective and gives the game a real old-time charm. To the right of the screen we see a paytable that details what will be paid out for each winning combination, while below the game is the standard Microgaming control panel. Players use these buttons to determine how much to stake per spin and there’s a few options here. They can adjust the value of a coin from 0.25 to 0.50, 1.00, 2.00, 5.00, 10.00, 25.00 and to a maximum of 50.00, while also being able to play with 1 or 2 coins for a top stake of 100.00 per spin. There’s also an Expert option that lets players set the reels spinning for up to 100x without needing any input, while they can be programmed to stop once certain win or loss levels have been reached. The paytable has 2 columns and depending on how many coins are in play, the relevant one will be highlighted, but unlike many games where there’s an enhanced jackpot for playing with the maximum number of coins, in Thousand Islands, there’s no difference at all in the ratio of bet to winnings. The bottom of the paytable sees the classic symbol of some cherries and landing just a single example will earn a 2-coin prize, while the next symbol up the scale is another favourite, with any combination of the Bars paying out 3x. 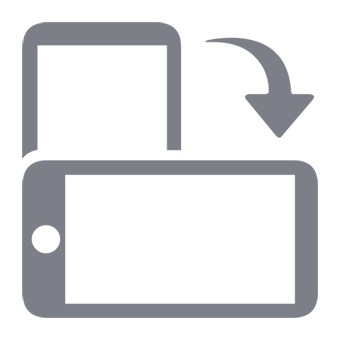 Having 2 cherry symbols stop across the payline will be worth 5 coins, while a full row of the single Bar is valued at 10x. Cherries are up again next, with a line right across the reels paying out 20x and then it’s the double and triple Bar symbols which reward players with 25x and 50x the value of a coin respectively. The most valuable of the regular symbols is a big red 7 and a line of these is worth 100x, but the game jackpot comes from the ‘1000’ symbol that pays 800x and also acts as a wild. In this capacity, it will act as any other symbol if it can complete a winning line, so for example, if 2 cherries and a wild stopped on the line, it would count as 3 cherries and be a winning combination. But it’s better than that, as a single wild will double the value of any line it completes, while having 2 wilds and a single example of any other symbol will quadruple the win. Thousand Islands may not have much, if anything in the way of innovation and exciting new features, but it’s not designed to be anything radical. This pokie shares the software behind it with several other games from the same developer and as these have all been made to a tried and tested formula, why would they want to change it? It works perfectly well, has some popular and familiar symbols, and a particularly atmospheric background image. It may have been nice to see at least one or two more symbols related to the theme, but games of this format are more about spinning up some decent wins rather than what’s on the reels. Those wins can be pretty substantial as well, with anyone staking 50.00 per coin and playing with 2 coins winning 80,000.00 if they hit the jackpot.